Rich Bronze Dazzle. 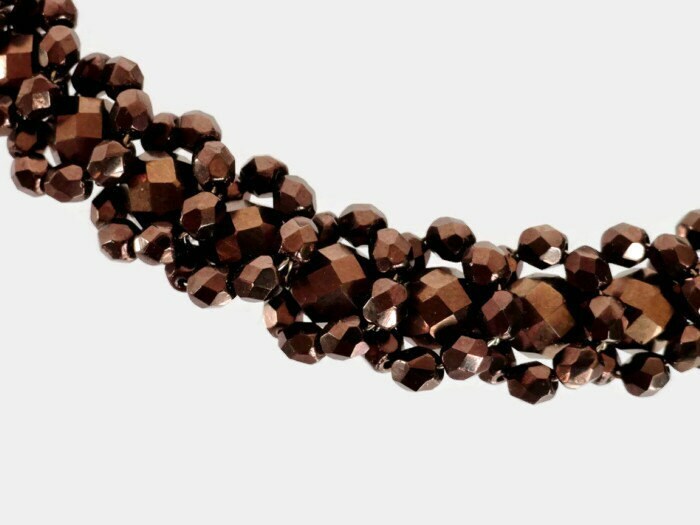 Understated yet rich hues of bronze Czech glass provides facets to reflect light. Glass making in the Czech Republic is an age old cottage industry. 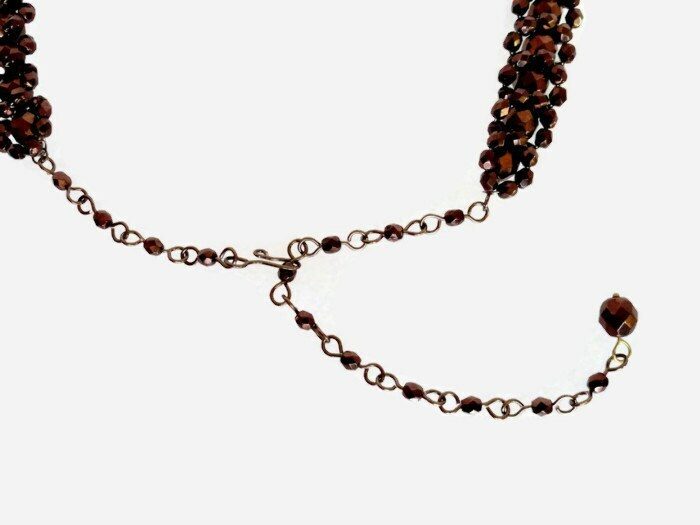 These beads are still made in small quantities by hand. 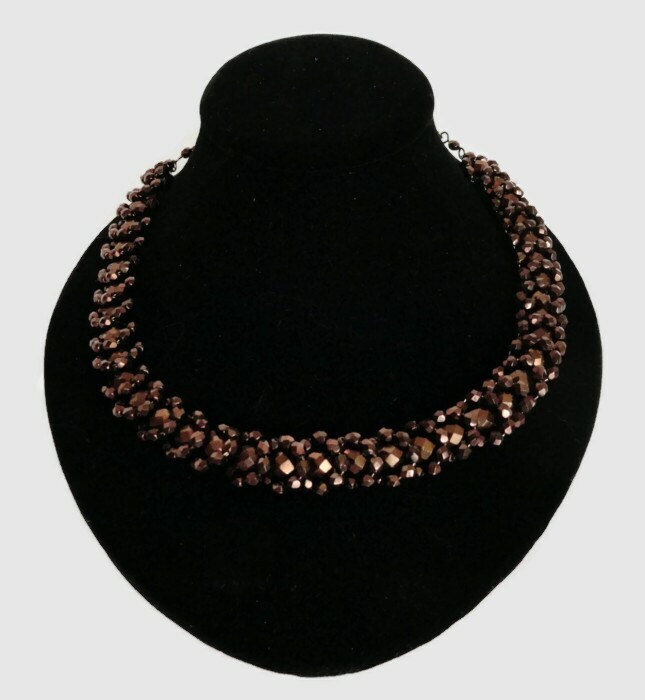 This design is a wire-wrap technique of a strand of 8mm Czech beads surrounded by a circle of 4mm beads and can be gently shaped to fit your neck. 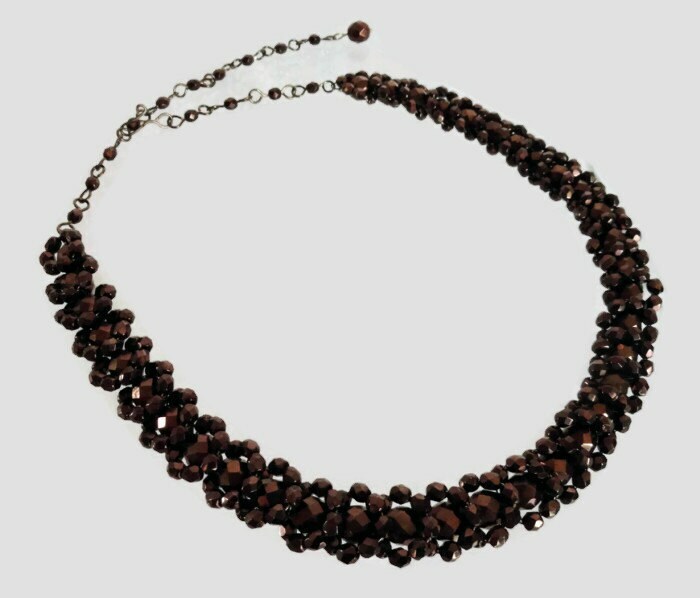 The necklace is finished by an extention strand of beads with a narrow clasp so the necklace can be lengthened or shortened as desired. Length: Approximately 16 in. to 20 in.